Having a good Wet Dry Vac to clean up a mess or drain out water is a must have tool for a HVAC tech. There are many sizes and brands to choose from in all different price ranges. Portability is the main concern and storing it, taking it out and packing it should be done as easy as possible. Here is some of our picks for the best heating and cooling Wet/Dry Vacs. As always be sure to read the reviews on Amazon or elsewhere to be sure a unit is a good fit for you. Stanley makes this low cost portable unit with a handle that makes it easy to carry around. The 3 gallon tank will be enough to clean most messes from a carpet to water. Stanley also makes many other wet/dry vacuums if a smaller or larger one is needed. This 5 gallon unit is an all around vacuum built for a shop but has a nice handle to carry out to jobs. The large tank will make it able to do big jobs such as cleaning out swamp coolers. The motor has a lot of power at 4.5HP which gives it good suction. This 5 gallon 4HP shop vac is built for use around a shop but can be used in many scenarios. It can be mounted on a wall and has a long hose to clean up a shop area. It could also be taken on large jobs and long hose attachment able to reach high up. 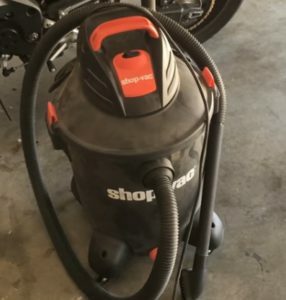 There are many good dry/wet vacuums to use in HVAC with those above simple some of our favorite. Most any unit will work and comes down to personal preference. A unit used in HVAC should be durable and be able to be carried about easily, along with being compact for easy storage. What works for one person may not work for another. Do you have a favorite wet/dry vac, and work in HVAC let us know in the comments below.